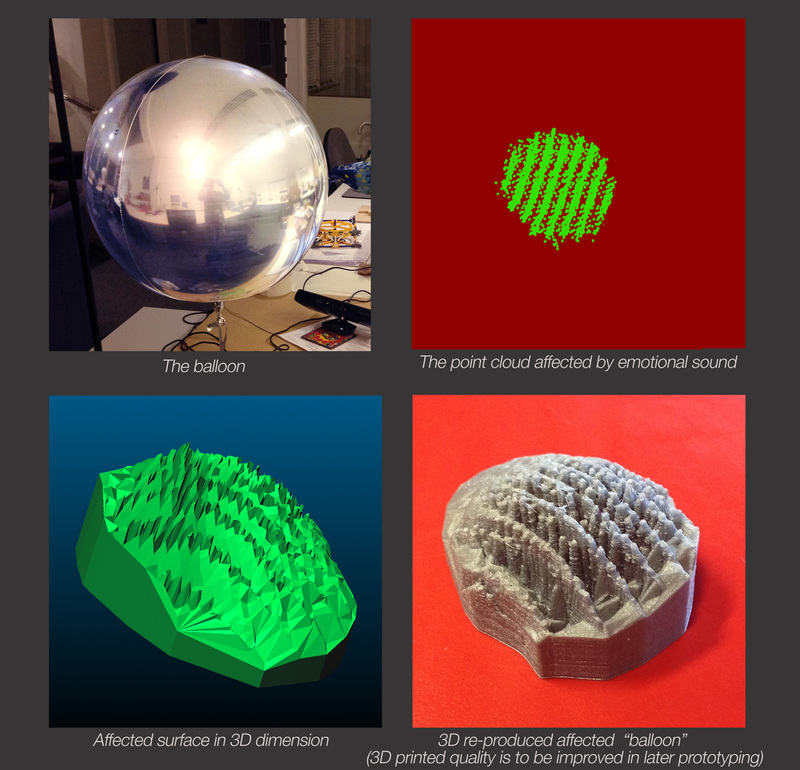 This project embodied how different human emotional sounds affects the shape/surface of an object, using digital design process utilising real-time data in 3D modeling and 3D printing. 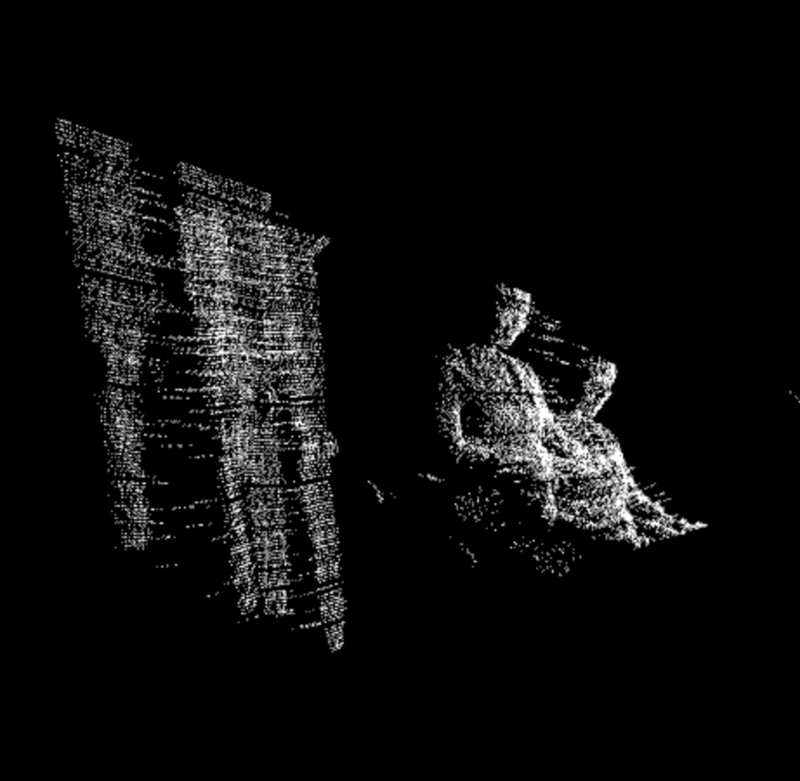 The Kinect sensor capture the shape of a balloon into a point cloud. Through coding, the points reacts to environmental sound. Due to my research on the algorithmization of human emotion and subjectivity, I experiment with how sound of different human emotional status affect the surface points of the balloon. The shifting patterns are captured and then 3D printed. I use this method to materialize the invisible force that act upon objects or human ourselves. I intend to continue this experiments on other objects, as well as tracking emotion over time and then reflecting or embodying them in jewellery or fashion.